Why does the world need another book about the Hebrew alphabet? Jewish theologians have been exploring the hidden meanings of the Hebrew letters for centuries. However, this is the first book that has explored this subject from a Messianic perspective. This revised and expanded edition includes more insights into the secrets of the Hebrew Scriptures that are normally hidden to non-Hebrew readers. Through the pages of this book, you’ll encounter details about God’s Word that have yet to be fully translated into our English editions. You’ll learn why some letters in the Hebrew Bible are printed over- or under-sized, and why other letters are printed upside down, broken in half, or suspended in mid-air. You’ll discover why nearly every column of a Torah scroll begins with a letter that symbolizes a hook, and why some passages of scripture are printed to depict a brick wall. 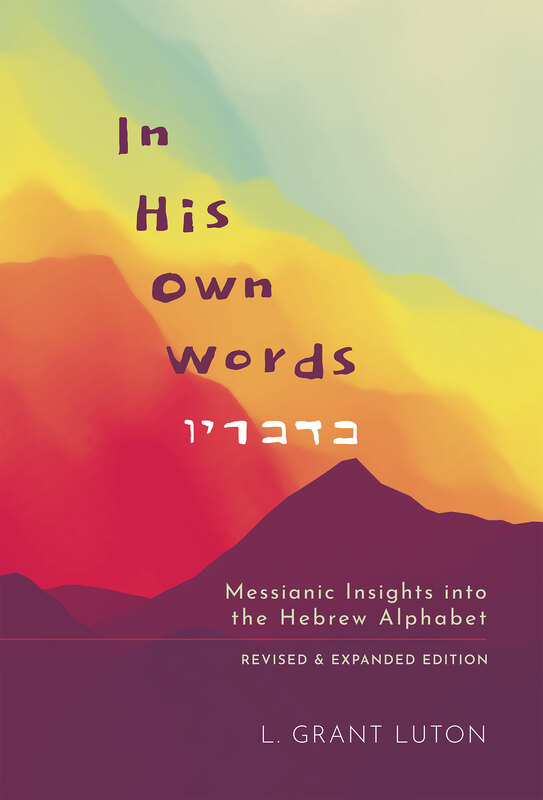 In His Own Words demonstrates how the message of the gospel is graphically illustrated by the names, shapes, and order of the letters of the Hebrew alphabet. You are sure to be inspired and encouraged by the amazing truths that God has hidden in these ancient symbols. If you enjoyed the previous edition of this book, you are sure to find this edition even more rewarding and enlightening in your study of the Scriptures. Read chapter one and see what you can expect to learn in the 23 chapters of this book. 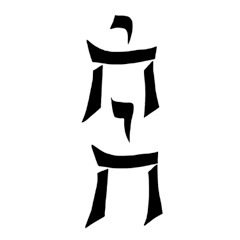 When God’s holy Name is spelled vertically, why does it form the image of a man? 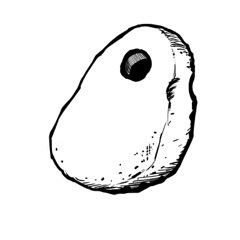 How does the writer of Hebrews use a stone with a hole in it to describe the Messiah? 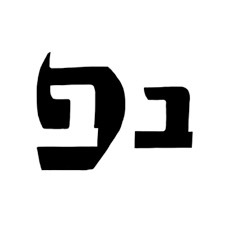 Why does the Hebrew letter on the left contain a silhouette of the letter on the right? "In His Own Words" is available for purchase at Amazon.com. Follow this link to get your own copy today.